We are a low-drama, high fun alliance nomadically dispensing justice on those who are on our lawn (It's all our lawn.) We base out of space near you. If you got a few extra bucks a month and want to help the alliance out where we really need it please donate to the server fund. The money you donate goes straight to the servers!!! Here is what your money will go toward and help with. Web Site - The website contains many things like hosting of images, videos, and content that you find all over the site here. This includes services that you will find below. Services - SeAT is our auth system that keeps our data secure. With our auth system we do not have to worry about who is seeing our information. SeAT keeps access to our members and our members alone. 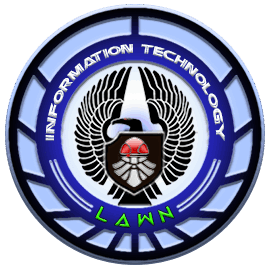 If one of our members leaves us for any reason, SeAT will remove their access to all LAWN information and services. Comms - Comms means a lot of things. It can mean TS3 (Voice comms) which is hosted on our servers by us. This can also mean Discord (Text Comms) where we chat all day and all night. We do not host the discord server but we do host the Auth to keep it secure. Check out the Patreaon site for more information about donating to help out with the server cost.